I had the pleasure of attending a session on Contemplative Photography with Mallika Rajkumar during the Mindfulness For Intentional Living Workshop I attended recently. I was fascinated with the concept and in awe of this young woman who is so passionate about what she does. Today, I’m happy to feature the Hyderabad based, Mallika Rajkumar and her beautiful pictures here and have her tell us something about contemplative photography. Hi Mallika. Do introduce yourself to my readers. photographer merges into the environment and is accepted by people he/she is taking pictures of. It is also photographers’ skill to notice them and click at the right moment. You specialize in portraits. But what about your workshops? Apart from portraits I do workshops on basics of photography and contemplative photography. My workshops are designed for people interested in photography and would like to explore their creativity through taking pictures. Contemplative Photography? Do tell us more about that. Contemplative photography is practising the art of photography with a focus on ‘seeing’ the beauty and richness of the world more clearly and in new ways. The best part about Contemplative Photography is that one need not be a photographer to practice this. Although, for all photographers, this is something innate. I encourage people to ‘see’ and ‘feel’ things around them in my workshops on Contemplative Photography. It could be any interesting pattern, or color or a human behavior. Once you learn how to see, you will learn how to capture them. And this is where photography bit comes in. Aesthetics of photography is also part of the workshop. Photographs taken need to be a reflection of one’s personality and vision and I help them build it. How does Contemplative Photography fit in with the concept of Mindfulness? The objective of Contemplative photography is to pay closer attention to the world around you and to live in the present moment, just what mindfulness is all about! It is a great pleasure to be doing a workshop with Aarathi Selvan, Psychologist and a Mindfulness Guide. Her mindfulness workshops are designed for people to explore their creative side through art. And including photography makes a perfect amalgamation. Happy belated blog blitz day! What a great blog. The photos are amazing, and happy blitz day. Sorry to be late coming to the party but better late than never. author of Suspense, spicy romance and attempted murder! Such beautiful portraits…souls shine through in all of them. I’m late for the BLITZ! (Computer issues, ugh). I consider myself a photographer, although I’m not a professional, and this is something that I really aim to do with my art: show a different side of people or the world to illustrate its beauty or significance. Love that you call it “contemplative” because both artist & viewer are contemplating the work! Truly amazing pictures and happy belated Blitz Day. Stunning photos. The portraits capture the personalities. I enjoyed the interview too. Sorry I am late for blitz day, but glad I didn’t skip it. What a lovely idea! I missed blitz day by a day, but I’m always happy to see the new blogs participating introduces me to. I’ll be back to check yours out another day! HAPPY BLITZ DAY TO YOU!! These portraits are wonderfully expressive. The photographer obviously has a great eye. I know I’m a bit late…. Hope you’ve enjoyed the flood of comments. Nice pictures. Happy Blitz Day! Beautiful photos and an uplifting positive way to view the world. Happy blitz day!! This is a lovely post with beautiful pictures. I like to caputure moments in time or memories with my camera; not if it’s it art though. Happy Blitz Day! Thanks, Toi. Appreciate you dropping by. The term is new to me, but those are some wonderful photographs. I especially like the Grandmotherly Love. Glad you enjoyed them, Trisha. Thats an amazing backdrop of purple petunas hugging you in the first picture. Happy Blitz Day! Yes, Mallika does look lovely in that picture! Thanks, Eva. I’m super enjoying the Blitz! I certainly don’t pay enough attention to the world around me. The flowers on that pictures are brilliant in colour. Lovely, lovely photos! Happy Blitz Day to you. Thanks for the reminder to be mindful of the moment and the world around me. Happy Blitz Day. Nice to find your blog. Absolutely beautiful photographs! 🙂 Such rich details. Happy Blitz Day! Such a lovely artist~ How wonderful! These photos are amazing! Happy Blitz Day! Happy Blitz Day!!! Love the photographs. Gorgeous photos! I love those purple flowers. Happy Blitz Day! To have found to through the blitz! Gorgeous photos! Happy Blitz Day! Beautiful photos! Happy Blitz Day! Absolutely GORGEOUS photos! I usually don’t like photos taken of me (Yeah, I know), but if I lived … oh, /not/ on the other side of the world, I might be looking her up! Wonderful philosophy behind Mallika’s photos. What a beautiful approach to photography – the emotion definitely shows in her work. Thanks for sharing this! Even I try to capture the moments as they are. Writing and photography go so well together. It would be fun to take a Contemplative Photography class. Thanks for sharing and enjoy your Blitz today! What gorgeous pictures! 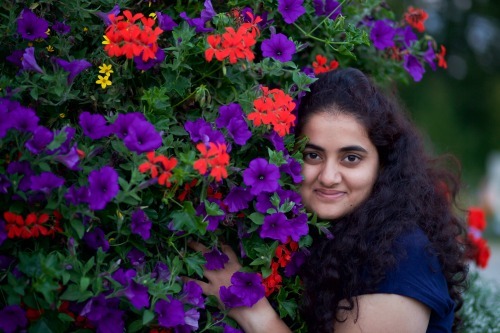 I love the saturated colors of the flowers – so pretty! Happy Blitz Day! Those are some lovely photos. Very interesting. I had not heard of contemplative photography but it certainly diss drum to fire in as a compliment to mindfulness. Her photos are stunning. Such vivid colors. You have a good eye for beauty Mallika. Those are awesome. Those pictures are absolutely stunning. I love them. What beautiful photographs–full of emotion! Those are lovely photos. I love photography. What glorious photos! Thanks to you both for sharing! What beautiful portraits! Happy Blitz Day to you. I’ve never heard of this type of photography, but it looks interesting. And the pictures are gorgeous. Happy Blitz Day! Hello Corrine, you’ve been Blitzed! Enjoy the fun. Her photographs are amazing. I love the one of the little baby with the yellow mitts. Oh, and happy blitz day! Her photos are very rich and moving. I am in awe of people who make art with their camera. I plan to buy a camera this month.My photos will be nature inspired. Wish me luck. LOVE her portraits. Thank you for featuring Mallika. Good luck to you, Robyn! I bought a simple point and shoot earlier this year and am having fun with it! Beautiful photographs! Thanks so much for sharing! Glad you liked them, Heather! Thank you. Great pictures! Enjoy your blitz day! Such an interesting concept with the contemplative photography; I had not heard of that term before; but Malika’s work is beautiful! Loved the picture with the baby! I hadn’t until recently either, Betty! Thank you! There is a delicate balance to be struck between becoming involved with the photograph one is taking and remaining a detached observer. It’s a study in itself. Love the photography! Enjoy your Blitz day! In many ways…photography is much like writing. A well composed snap shot can tell a story all by itself! Thank you for the interview. Yes, DL. Like they say, a picture speaks a thousand words. Beautiful pictures! I would love to learn how to do this. Me too, Miranda! Thanks for dropping by. Such lovely portraits, they really catch the essence!